BRUSSELS - Rating agency Standard & Poor's said Monday it has downgraded the creditworthiness of the eurozone's rescue fund by one notch to AA+, putting the fund's ability to raise cheap bailout money at risk. The downgrade follows ratings cuts for AAA-rated France and Austria, whose financial guarantees were key to the creditworthiness of the European Financial Stability Facility. "The downgrade to 'AA+' by only one credit agency will not reduce (the) EFSF's lending capacity of euro 440 billion," Klaus Regling, the fund's chief executive officer, said in a statement. 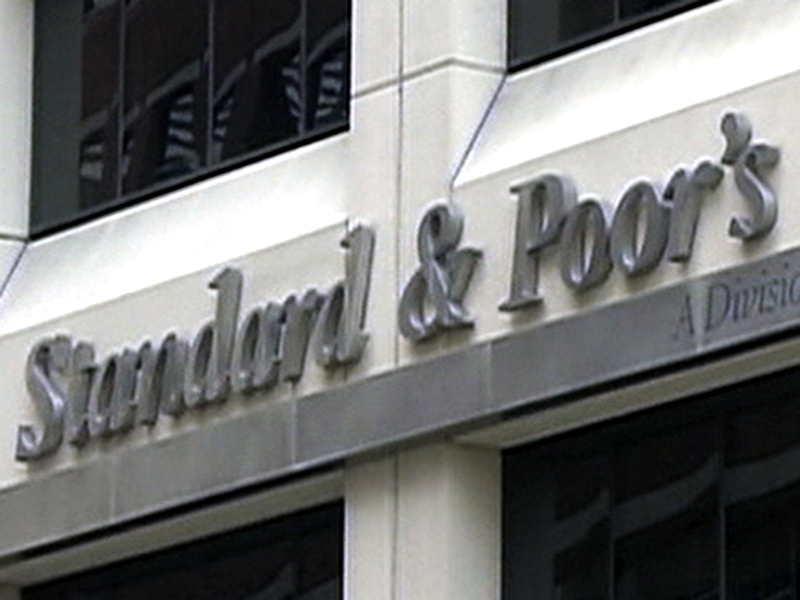 S&P had warned in December that it would cut the rating of the 440 billion euro EFSF in line with the downgrades of any AAA country. Moody's and Fitch, the other big two rating agencies, still have the EFSF at AAA, meaning that it would count as a top-notch investment for most funds. But analysts warn that further downgrades are likely soon. Once another big agency cuts the EFSF's rating, the eurozone faces a stark choice. Either the fund starts issuing lower-rated bonds -- and accepts higher borrowing costs -- or its remaining AAA contributors increase their guarantees. So far, Germany, the biggest of the four AAA economies in the eurozone, has ruled out boosting its commitments to the fund, and increases also appear politically difficult in the Netherlands and Finland. Another option would be to accept that the EFSF can give out fewer loans. Because of the EFSF's strange setup, the bonds it issues to raise bailout money are underpinned by some 720 billion euro in guarantees from the 14 eurozone countries that haven't received bailouts. But for issuing AAA-rated bonds, only AAA-guarantees count, taking the fund's lending capacity down to 440 billion euro. With the downgrades of France and Austria, the EFSF loses some 180 billion euro in AAA-guarantees, leaving it with a loan capacity of 260 billion euro. Of that, around 40 billion euro have already been committed to the bailouts of Ireland and Portugal, and a new Greek rescue will quickly take more than 100 billion euro out of the till. While that leaves the eurozone with a severely diminished firewall, the lower lending capacity may not matter that much. To rescue Italy and Spain, the EFSF would need more than 1 trillion euro, according to analysts, and whether the shortfall is 900 billion euro or 600 billion euro won't make much of a difference.